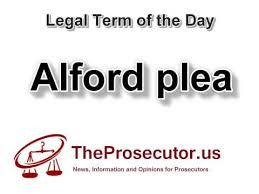 QUESTION: What is an “Alford” plea of guilty? What procedure must the District Court follow before an “Alford” plea can be accepted? In North Carolina v. Alford, the United States Supreme Court held that it was constitutional for a court to accept a defendant’s guilty plea, even though the defendant maintained his innocence, where the State demonstrated “a strong factual basis for the plea” and the defendant clearly expressed his desire to enter the plea based on his belief that the State’s evidence would be sufficient to convict him. 400 U.S. 25, 91 S.Ct. 160 (1970); State v. Theis, 742 N.W.2d 643 (Minn. 2007). This update discusses the three necessary steps that courts must take before an “Alford” plea can be accepted.